I love winter in Korea! I finally got round to using my season pass for High 1 last week. I’ve blogged about snowboarding in Korea before but I’d like to re-iterate what an amazing deal you get with a season pass. If you’re new to the game, start with these 2 steps: join Snowboard and Ski South Korea and Korea-snow.com. This way, you will be notified when season passes become available on the internet – usually around September, after Chuseok. There are two rounds of season pass registrations, one in September and again in November. There is a slight price hike if you go with November. What’s so great about a season pass? The price. I paid 238,000 won for a season pass that covers me from December to March- lift pass AND return bus shuttle from Pohang to High 1 Resort included. I don’t think you can get this deal at this price anywhere else in the world. I have my own gear now but if you have to rent a board and boots it works out to 30,000 won per day (from 08:30 to 16:00). NOTE: the season pass IS more expensive for guys… around 352,000 won I believe. Tour operators such as Enjoy Korea and Waegook Travel usually charge the price of a season pass for a weekend’s worth of snowy fun. I highly recommend NOT going over the weekend. If you have a season pass, go during the week so that you can enjoy the non-existent queues, wide open spaces and uncrowded slopes. Weekends are just crazy busy- you’re looking at 20-30 minute queues to get on the ski lift. No thanks. This past weekend High 1 held a Snow Festival, which included a Snow Tubing Festival. Korea Tourism Organization (KTO) offered bloggers the opportunity to attend the Festival and stay at High 1 CC Hotel. I’ve only ever visited High 1 during winter but during the summer months it’s actually known for being a Country Club! Playing golf country club style is a pretty exclusive activity since space comes at such a high premium in this mountainous country. Koreans love golf and screen golf and netted driving ranges are incredibly popular. High 1 CC Hotel’s facilities include a sauna, conference rooms, restaurants and a golf equipment shop. There is also a casino nearby, the only one that is actually accessible to Koreans and foreigners (it’s illegal for Koreans to gamble). My room was spacious, comfortable and tastefully decorated and offered an exquisite view of the mountains. We were treated to a delicious buffet and a post-dinner show by Sachoom! Sachoom’s dance performance is funny, energetic and covers a range of styles from B-Boy to K-pop to ballet. I didn’t have time to try out the sauna, but once I got back down to Valley Ski House and saw the carnage of Saturday crowds, I decided to try out the jimjjilbang Sauna instead. 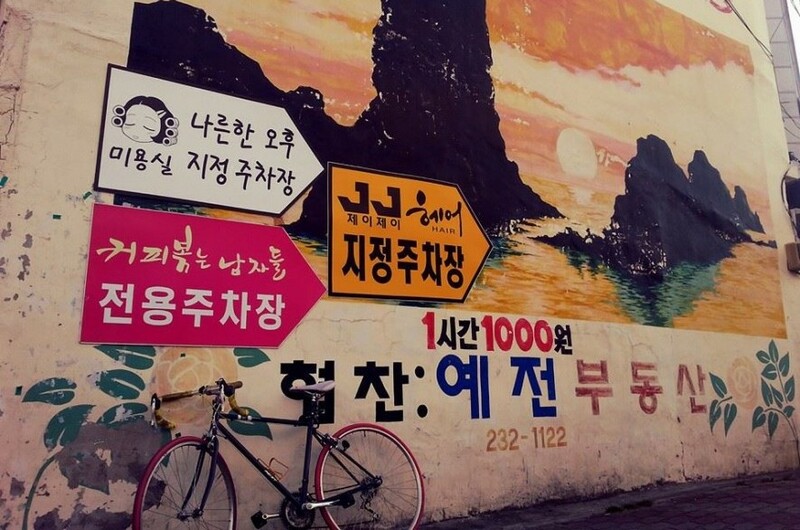 Located between the Valley Ski House and Valley Condominium, a soak, scrub and steam will cost you 7,000 won. If you choose to have the whole jimjjilbang experience (sleeping there) it will cost 10,000 won. You can also swim at Mountain Plaza, use the outdoor sauna (you need to wear a swimsuit), play pool, sing at Rush norebang or play arcade games! Bottom line, you don’t have to be bored at High 1! I’m really going to miss winters in Korea. Shout out to KTO for hooking us up with the good stuff! KTO organized a free ski lesson for K-supporters!